It is the US taxpayer that really spends $400 per gallon of gas in Afghanistan. Someone makes a lot of money here! The Pentagon comptroller’s office provided the fuel statistic to the committee staff when it was asked for a breakdown of why every 1,000 troops deployed to Afghanistan costs $1 billion. The Obama administration uses this estimate in calculating the cost of sending more troops to Afghanistan. The Obama administration is engaged in an internal debate over its future strategy in Afghanistan. Part of this debate concerns whether to increase the number of U.S. troops in that country. The top U.S. general in Afghanistan, Stanley McChrystal, reportedly has requested that about 40,000 additional troops be sent. Democrats in Congress are divided over whether to send more combat troops to stabilize Afghanistan in the face of waning public support for the war. Any additional troops and operations likely will have to be paid for through a supplemental spending bill next year, something Murtha has said he already anticipates. Afghanistan — with its lack of infrastructure, challenging geography and increased roadside bomb attacks — is a logistical nightmare for the U.S. military, according to congressional sources, and it is expensive to transport fuel and other supplies. A landlocked country, Afghanistan has no seaports and a shortage of airports and navigable roads. The nearest port is in Karachi, Pakistan, where fuel for U.S. troops is shipped. From there, commercial trucks transport the fuel through Pakistan and Afghanistan, sometimes changing carriers. Fuel is then transferred to storage locations in Afghanistan for movement within the country. Military transport is used to distribute fuel to forward operating bases. For many remote locations, this means fuel supplies must be provided by air. One of the most expensive ways to supply fuel is by transporting it in bladders carried by helicopter; the amount that can be flown at one time can barely satisfy the need for fuel. The cheapest way to transport fuel is usually by ship. Other reasonable methods to provide fuel are by rail and pipeline. The prices go up exponentially when aircraft are used, according to congressional sources. “The fully burdened cost of fuel is a recognition that there are a lot of other factors that come into play,” said Mark Iden, the deputy director of operations at the Defense Energy Support Center (DESC), which provides fuel and energy to all U.S. military services worldwide. The DESC provides one gallon of JP8 fuel, which is used for both aircraft and ground vehicles, at a standard price of $2.78, said Iden. The Commandant of the Marine Corps, Gen. James Conway, told a Navy Energy Forum this week that transporting fuel miles into Afghanistan and Iraq along risky and dangerous routes can raise the cost of a $1.04 gallon up to $400, according to Aviation Week which covered the forum. “These are fairly major problems for us,” Conway said, according to the publication. Energy consumed by a combat vehicle may not even be for actual mobility of the vehicle, Geiss said, but instead to run the systems onboard the vehicle, including the communications equipment and the cooling systems to protect the electronics onboard. Some 8o percent of U.S. military casualties in Afghanistan are due to improvised explosive devices, many of which are placed in the path of supply convoys — making it even more imperative to use aircraft for transportation. According to a Government Accountability Office report published earlier this year, 44 trucks and 220,000 gallons of fuel were lost due to attacks or other events while delivering fuel to Bagram Air Field in Afghanistan in June 2008 alone. High fuel demand, coupled with the volatility of fuel prices, also have significant implications for the Department of Defense’s operating costs, the GAO said. The fully burdened cost of fuel — that is, the total ownership cost of buying, moving and protecting fuel in systems during combat — has been reported to be many times higher than the price of a gallon of fuel itself, according to the report. The Marines in Afghanistan, for example, reportedly run through some 800,000 gallons of fuel a day. That reflects the logistical challenges of running the counterinsurgency operations but also the need for fuel during the extreme weather conditions in Afghanistan — hot summers and freezing winters. With the military boosting the number of the all-terrain-mine resistant ambush-protected vehicles (M-ATVs) in Afghanistan meant to survive roadside bombs, the fuel consumption will likely rise even higher, since those vehicles are considered gas-guzzlers. 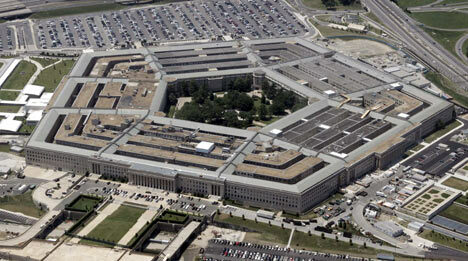 The Pentagon comptroller’s office did not return requests for comment by press time.